The stages for the stages challenge in the free pass challenges start with consuming mushrooms. 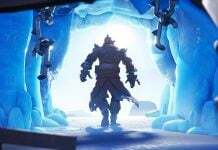 The other stages are consume a small shield potion, big shield and finally to consume a chug jug. 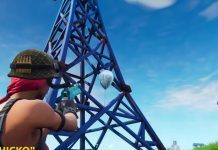 The stages for the Battle Pass stage challenge is to deal damage with grenades, grenade launcher and quad launcher. 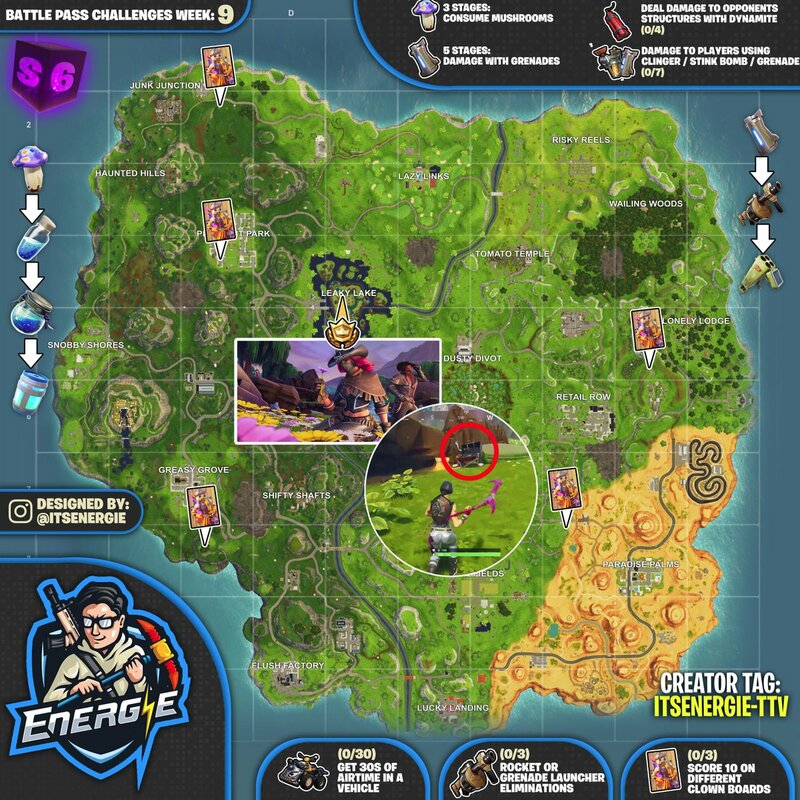 The cheat sheet map highlights the location of the hidden Battle Star for the Hunting Party challenge which can only be seen in-game once you’ve completed all the week 9 challenges. 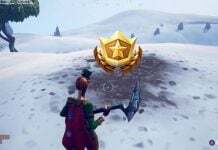 The location of the Battle Star is in the middle of Leaky Lake. The cheat sheet also highlights all of the locations of the Carnival Clowns Board, in which you need to get a score of 10 or more at 3 different locations in order to complete the challenge.